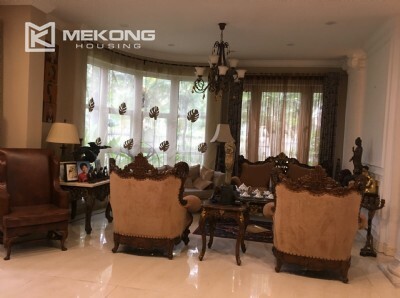 If you are looking for a villas for rent in Ciputra Hanoi International City, we can help you to find a new home quickly at reasonable price. We have a good and long term relation with the owner of Ciputra Hanoi so, we can negotiate a good price for our customer. Our database of available villas for rent in Ciputra Hanoi including furnished & unfurnished villas with private swimming pool, court yard, garden is upated everyday. Just let us know your request, we will arrange a viewing show you suitable villas in Ciputra Hanoi meeting your requirement from our updated database. We are sure to find your right home in a shortest time. This beautiful villa is located in C block, Ciputra Hanoi with green yard and a spacious living area. Total land area is 200 sq.m, composed of 3 floors, 4 cozy bedrooms, 4 bathrooms with bathtubs and walk-in shower, a large living room and a modern open equipped kitchen. It has front yard and back yard. The rental villa is fully furnished with modern and high quality furniture. 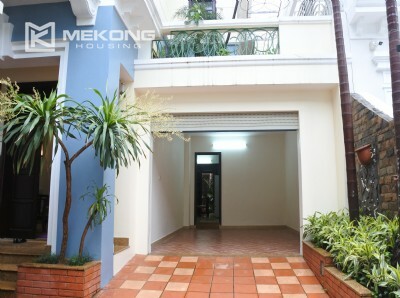 The charming villa is located in T block, Ciputra Hanoi with green yard and a spacious living area. Total land area is 320 sq.m, composed of 3 floors, 5 cozy bedrooms, 4 bathrooms with bathtubs and walk-in shower, a large living room and a modern equipped kitchen. It has front yard, back yard, and nice sidewalk surrounded. The rental villa is fully furnished with modern and high quality furniture. It is designed with 5 airy bedrooms, 5 bathrooms with modern fittings and a spacious living room and an open kitchen. It has front yard, back yard and nice sidewalk, open views and close to the play ground. The villa is fullly furnished with high standard furniture and equipment. It is located in quiet land and secure area in Ciputra Hanoi. It is surrounded by many trees. The villa is fully furnished with high quality furniture. The kitchen is equipped with nice oven, fridge, big dining set, wooden floor for bedrooms. 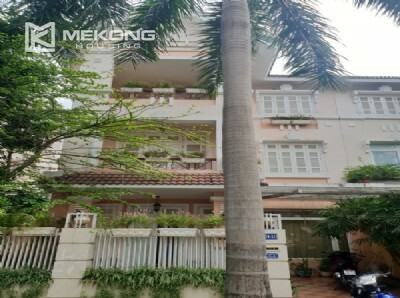 The location is very convenient, walking distance to international schools such as UNIS school, Hanoi Academy, SIS school. Ciputra Villa 5 bedroom furnished to offer your family nice quality in a spacious size. Having land area of 230 m2, it composes a large outdoor space running from the front to the back. This outdoor space is perfect for children to play around. Furnished villa Ciputra T7 for rent locates at a corner in Ciputra Hanoi area. Land size take up 230 square meters in which the garden runs from the front side to back side. Therefore, you have a spacious green garden with lots of trees. The rental villa is located in quiet area in C block, Ciputra Hanoi with nice backyard, open view, a spacious living rooom. Total land area is 198 sq.m, composed of 3 floors, 4 bedrooms, 4 bathrooms with bathtubs and walk-in shower, a large living room and a modern equipped kitchen with side by side fridge and built in oven. It has front yard, back yard. 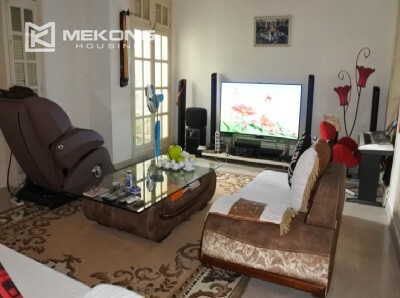 Total land area is 250 sqm, with 3 floors, composed of a nice living room, 5 cozy bedrooms, 4 bathrooms, and kitchen. The rental villa has nice out door space, garden, garage, and nice views. It is very nice villa in Ciputra, T area. Newly renovated and refreshed. White paint for all doors and walls. New kitchen with built-in oven, dish washer.